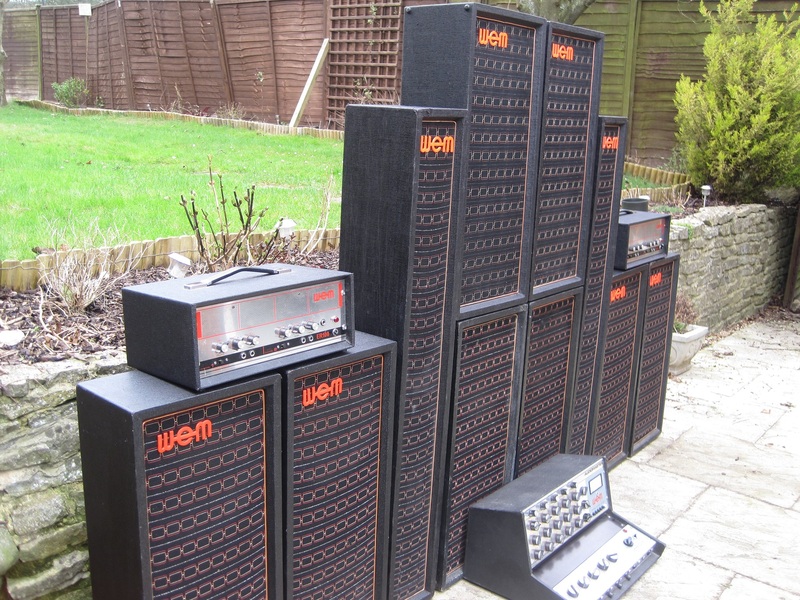 I used to have 3 pairs of 2×12 PA cabs but I just have one pair left in the collection now. I also have pair of 3×10 cabs, a pair of 6×8″ cabs. a pair of Club System cabs, a pair of Band System cabs, a pair of X32 Horn columns, a single early 2×10 cab and a pair of later 2×10 cabs. 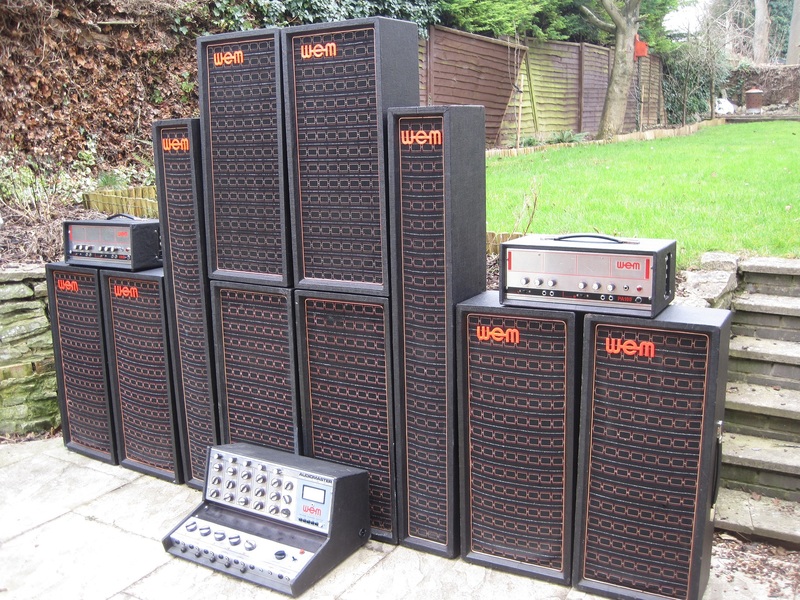 I have also acquired a pair of Vendetta columns and a pair of X39 Reflex Bins in June 2016 and a pair of 4×12 columns in March 2017.